Insurance Broker, Compare Quotes With Insurance Brokers, Save! Our Insurance Brokers Can Help You Save Hundreds On Insurance! ThinkInsure.ca is proud to be a leading independent insurance broker in Canada. Being an independent insurance broker allows us to get the best coverage and rates for our customers needs. Our brokers are just like you. We are people helping people get the best insurance rates and coverage. It’s not about numbers; it’s about helping you find an insurance policy that will give you peace of mind in knowing you’re covered. We’ll help you get the best coverage for your insurance needs! We are unbiased and have a large selection of insurance products to meet your needs. Our insurance brokers simplify the insurance shopping process and save you money by helping you compare the best quotes and coverage. We help you take advantage of insurance discounts and ensure you get coverage that meet your unique insurance needs. As they say, don’t just get insurance, get a broker. Why? We have your best interest in mind at all times. We help you get access to what you need, when you need. It's our job to make sure you get the insurance coverage you need at the lowest price. Our insurance brokers are here to help you save! Why Choose ThinkInsure To Be Your Insurance Broker? ThinkInsure is a leading insurance broker in Canada for a reason. We provide you with exactly what you expect from a top insurance broker. Savings : Save money on your rates while getting tremendous value from your insurance policy. 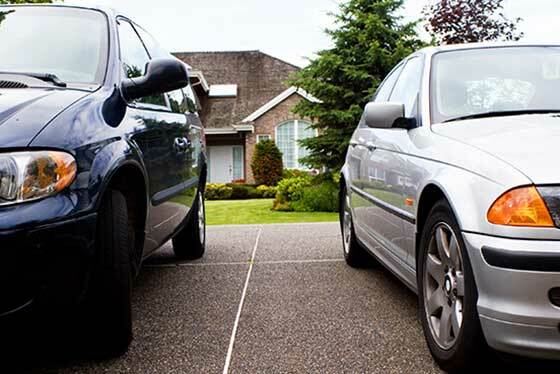 We help you get the cheapest insurance quotes and maximize insurance discounts. Selection : Choose from the best insurance products and solutions from 40+ companies in Ontario and Alberta. Whether you live in a large city or small town, we have the insurance products you need and brokers to help you. Simplicity : Save time and conveniently shop, compare, and buy online. Simply call or click to get a quote. Getting insurance is that quick and easy when you use a ThinkInsure insurance broker! We know you want insurance options. This is something our insurance brokers can offer in spades. As an independent and private broker, we can offer coverage from multiple insurance companies – giving you MORE insurance options. Whether you are looking to renew your auto insurance, get home or renters insurance, or are looking for specialized coverage for your small business, our brokers can help you find the best insurance policy AND save money. For over 45 years, ThinkInsure insurance brokers have proudly insured Canadian drivers, homeowners and businesses. We’ve worked with customers with all types of insurance needs, many of them just like you. During this time, we have helped thousands of people get cheap insurance quotes and save money on personal insurance and business insurance. Call one of our friendly insurance brokers, they'll be happy to help you save on the coverage you need. As a leading Canadian insurance broker, we can help you shop for all your insurance needs at once. Whether you are shopping for auto insurance in a large city or if you live small town, our brokers can help no matter where you live in Ontario and Alberta. 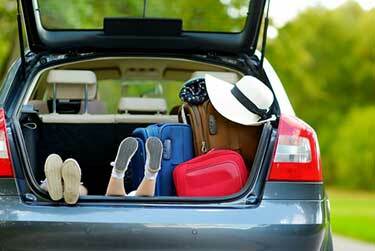 Our experienced auto insurance brokers can help you get the auto insurance coverage to meet your driving needs. We can get you coverage for all types of vehicles (trucks, vans, SUVs), motorcycles, classic cars, recreational vehicles, Uber and ridesharing. We also help all types of drivers – new and young drivers, over 50 drivers and high risk drivers. Our home insurance brokers can help you get coverage for any type of dwelling. Whether you need coverage for a house, condo, cottage, townhome or duplex. If you need renters/tenant insurance or you’re a landlord yourself, we will help you get the best coverage and rates. Own a business? Our business insurance brokers can help you get the coverage you need to protect our investment. We specialize in coverage for all types of businesses including small businesses, start-ups, home based businesses, contractors and more. We offer coverage the coverage options you are looking for – business liability, professional liability, cyber liability, commercial auto and commercial property coverage, and more. If you need insurance and want to work with a broker, our team of insurance brokers is ready to help! Insurance brokers work for you, not insurance companies. Brokers are your insurance advocate. They use expert insurance knowledge to assess your insurance needs. 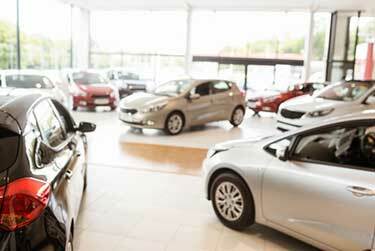 They shop for insurance coverage and compare quotes to find you the best rates and value. In addition to providing you with insurance quotes, brokers answer your insurance-related questions, provide clarification about coverage in your policy, and help you with insurance claims. At ThinkInsure, our insurance brokers use their industry experience and knowledge to help you assess your current insurance needs, shop for insurance options and help you find the coverage you need. What Is The Role Of An Insurance Broker? 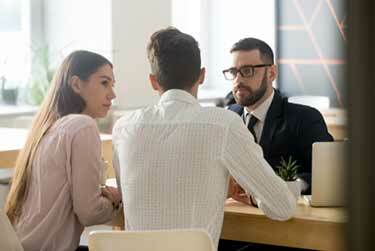 The role of an insurance broker is different from an insurance agent. Brokers are professionals who work on behalf of customers. They are intermediates between customers and insurance providers. They help customers find coverage and sell policies that are in their best interests. Independent brokers also offer guidance and assistance for quotes, claims, and coverage. Our team always has your best interests at heart, we have access to insurance knowledge, resources, information, and the quotes you need. Best of all, working with a broker is 100% FREE. Coverage needs : Help you assess your insurance coverage needs. Compare : Compare coverage from multiple insurers. Savings : Look for ways to save you money on your insurance. Explain your policy : Explain your insurance policy to you, especially the fine print. Coverage Changes : Assist with changes to your insurance policy and needs. Expert advice : Provide expert insurance advice and clarification. Questions : Answer any insurance questions you have. Claims process : Assist with making insurance claims. Help : Assist you with all your insurance needs. Insurance Broker vs. Insurance Agent – What’s The Difference? Customer focus : Insurance brokers work for you; agents work for the companies they represent. Insurance options : Brokers can offer you insurance products from a variety of insurance companies; agents can only offer you insurance products from the company they represent. Objectivity : Brokers provide unbiased advice and are objective. Professionalism : Brokers are licensed insurance experts who are regulated by RIBO and must follow high standards for professional competence and ethical conduct. Choice and selection : You have access to insurance products from all the leading insurers. Brokers have relationships with local insurers and can help you find the best rates. Insurance advisor : You have a trusted insurance advisor on your side. Get impartial advice to help you make the best insurance decisions. 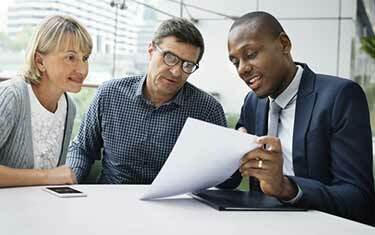 A trusted insurance partner : Brokers have your best interests in mind. They are transparent, help you assess risk, and choose a policy that is in your best interests. Simplicity : Brokers help to simplify the insurance process. They not only compare quotes and find you the best coverage, they simplify difficult insurance decisions. Most people rush through the insurance process just to get it over with. Renewal time is your opportunity to find better coverage and save. Getting expert advice from a broker ensures you’re in the best position to lower your insurance rates. Does my policy address my specific insurance needs? Do I fully understand what is and is not included in my policy? Is there anything missing from my policy? Am I getting the best insurance rates? At the end of the day, you want to make the best and most informed decision possible about your insurance coverage. Brokers help you do this. They help you see fact from fiction, erase misconceptions, advocate on your behalf, and find the best policy to meet your unique insurance needs. Insurance can be confusing. With hundreds of insurance companies, countless policy options, unfamiliar terminology, and many questions to be answered, getting insurance can be intimidating. 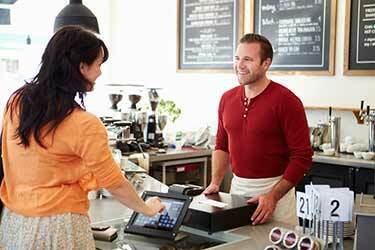 Brokers simplify the insurance shopping process. You get a real person who genuinely has your best interests in mind. Brokers will answer your questions honestly and directly, advocate on your behalf, and even help you with the claims process. The only question is, why haven’t you used a broker before? At ThinkInsure, we believe your best option is always an insurance broker to compare quotes and coverage. Working with our brokers gives you access to independent and unbiased insurance experts. We can help you compare quotes, provide you with advice and advocate on your behalf. More importantly, we help you get the cheapest insurance rates. 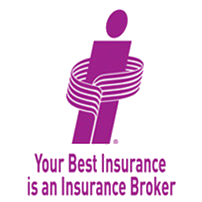 Are you looking to find an insurance broker in your area? At ThinkInsure our brokers can help you with all your insurance needs. Whether you are located in Ontario or Alberta we’ll help you compare the best insurance quotes and save money. You may be asking yourself, “Where can I find insurance brokers near me?” A ThinkInsure broker is never too far away. We make finding a broker quick and easy. The ThinkInsure insurance broker finder helps you connect with the best brokers to meet your unique needs. We have brokers who can help you with a variety of insurance coverage and products. From custom business insurance policies to standard home or auto insurance, we have you covered! We offer you a number of ways to find the broker you need. Search for an insurance broker by type of insurance or by location. Have trouble getting insurance coverage? Been labelled high risk? Speak with our high risk insurance brokers about your insurance options. As part of your broker search, you’ll quickly realize insurance brokers are not created equal. 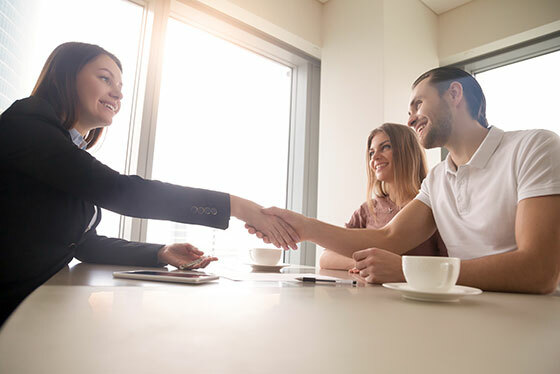 Finding an insurance broker who advocates for you and is dedicated to helping you save is important if you want to achieve your insurance savings goals. Read reviews : Online reviews provide you with a great indication of the level of service you can expect. Does the broker have positive Google reviews? Do they have strong testimonials? Are they licensed? Working with licensed insurance professionals is important. ThinkInsure brokers are fully licensed in Ontario (RIBO) and Alberta (AIC). Check them out online : What insurance products and services do they offer? Do they offer the coverage you need? 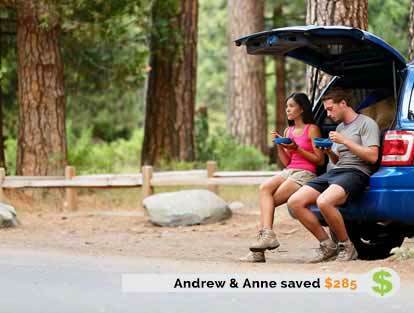 Are they dedicated to helping customers save? Reputation : Does the brokerage have a positive reputation in your community? What do others have to say about them? Are they independent? Independent brokerages don’t work for the insurance companies. This means they can provide you with unbiased advice and put your best interests first. Can they meet your insurance needs? Overall, can the broker meet your insurance needs? Do they offer the insurance products you need? Can they find solutions that fit your budget? At ThinkInsure, we put your needs first. Our team is dedicated to helping you get the cheapest rates and best coverage. Contact us today to experience the ThinkInsure broker advantage. How Do I Contact My Insurance Broker? Having access to your insurance broker is important, especially when you want to compare quotes or get new coverage. It's easy to make changes to your insurance policy and coverage. Just give us a quick call and your insurance broker will happy to help you in a prompt and timely matter. Are you looking for an insurance broker job in Ontario? ThinkInsure is a great place to work, we pay well and we are one of the fastest growing independent brokerages in Canada. We are looking for insurance brokers in our sales and service teams. Learn more about the insurance broker jobs we have at ThinkInsure. ThinkInsure is a proud member of the Insurance Brokers Association of Canada (IBAC), the national trade organization that represents the 11 regional and provincial associations of Property and Casualty (P&C) insurance brokers in Canada. ThinkInsure is a proud member of RIBO. Our insurance brokers are RIBO licensed and abide by all professional and ethical standards. They are required to complete a rigorous insurance exam to become a licensed broker and must also complete annual training to remain licensed. ThinkInsure is a proud member of the Insurance Brokers Association of Ontario (IBAO), an organization that, in collaboration with insurance brokers and consumers, strives to create innovative solutions to improve the insurance industry. ThinkInsure is a proud member of the Alberta Insurance Council. 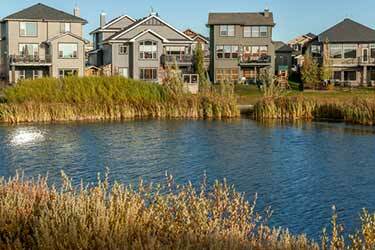 Our Alberta brokers are AIC licensed and have a Certificate of Authority. Our brokers follow all professional standards and guidelines set out by the organization and complete annual training to maintain their licensed status. At ThinkInsure.ca, we want to help you stay up to date with the latest insurance news, savings advice, driving tips and much more. We update the site regularly with helpful and informative content.